It is important to us that every patient has access to top quality dental care. We realize that not all patients are covered by insurance and many need extra help financing their dental treatments. At Town Center Dental of LaGrange, your oral health is truly important to us. Therefore, we don’t let your budget stand in the way of giving your smile the attention it deserves. We proudly accept an expansive menu of insurance plans, and we offer flexible payment options for your convenience. It has never been easier to achieve a beautiful, healthy and functional smile. Who is dental savers plan for? This in-house savings plan is designed to make dental care more affordable for individuals or families who do not have insurance. 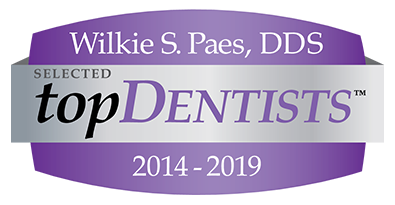 Discounts of 30-50% are offered throughout a full menu of treatments and procedures, ranging from routine cleanings to Invisalign orthodontics. Annual membership is $250 for individuals and $325 for an entire family. With just one dental filling or a professional dental cleaning, your plan will pay for itself! Simply contact our office today and one of our staff members will gladly enroll you or your family in our Dental Savers plan, which will give you immediate access to your discounted care. Our staff has years of experience working with dental insurance carriers. We can help you understand your benefits and file claims on your behalf. It is important to us that we help Lagrangeville and the surrounding area families maximize their dental insurance coverage throughout the calendar year. Don’t have dental insurance? No problem. Our top quality dental services are still available to you. To ensure you aren’t sacrificing your savings to keep your teeth healthy or restore your smile, Town Center Dental of LaGrange offers a variety of flexible payment options. Whether you are under-insured or not covered at all, you may take advantage of CareCredit monthly financing or our in-house Dental Savings Plan. We give major discounts to participating families on a full range of dental services. We are passionate about making your dental care a stress-free experience. This includes accommodating your budget needs. While “state-of-the-art” and “affordability” don’t normally coincide, they certainly do at Town Center Dental of LaGrange. Our mission is to deliver affordable care and exceptional service to each patient that walks through our doors. To learn more about insurance acceptance or financing plans, please contact our office today.